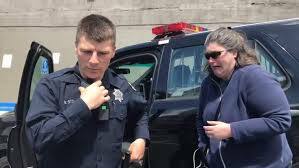 KTVU has obtained the 911 audio from an incident at Lake Merritt that erupted into a national controversy involving a white woman -- since nicknamed “BBQ Becky” -- calling police on a black family using a charcoal grill. KTVU 2 Investigates obtained the two phone calls through a California Public Records Act request that was initially denied by Oakland Police. The dispatcher asks for a description of the person Schulte is calling about, and whether she wants the police to make contact with her when they arrive. She says yes. The call lasts less than two minutes. However, the follow up 911 call placed by Schulte about two hours later takes a much different tone. Michelle Snider, the woman who took the original cell phone video of the incident that went viral, can be heard in the background. Schulte responds “I don’t know” and dispatcher further asks if she can walk away from the situation, but she replies that Snider is following her. The voice of Snider and other unidentified people in the background can be heard through much of the call, but their exact words are not always clear. Schulte continues to refuse to answer and the dispatcher tells her she’s going to hang up, before Schulte finally provides the information. When asked if the people she is reporting have a gun or a knife, she tells the dispatcher she doesn't know.